Well flip, you blink and it's 2013. Actually, it's been a long few months. The shower in our master bath has had an irreparable leak for a couple years, and I finally succumbed to the delusion that I could tear it out and rebuild a new and improved shower. That shower has taken enough of my time, so I will cease talk of it now. "Winter" is prime riding season here in AZ, but we couldn't resist heading north to play in the snow over Christmas. We were lucky enough to arrive in Utah just in time for a few storms to roll in. While the unfortunate public was dreading slushy roads and slippery walks, we were licking our lips and rubbing our hands together. No disappointment. 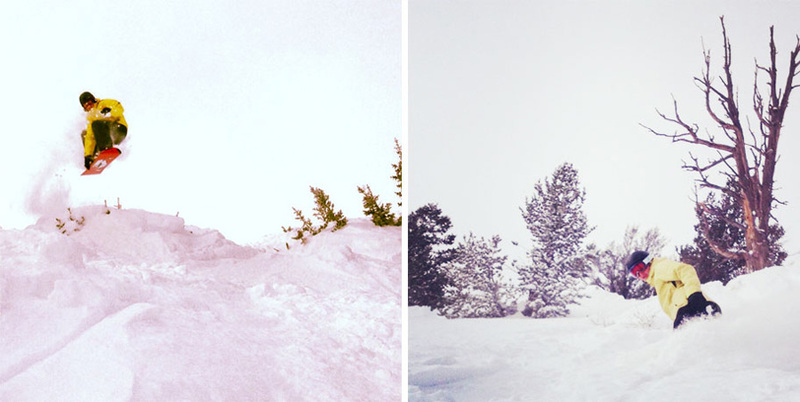 As much as I love riding my bike, it's still not as glorious as snowboarding in powder. It may well be the pinnacle of sensation. Me and Lisa having our way with two feet of fresh snow. Snowbasin, UT. Dave has fun when he snowboards. Bush Ollie with extreme prejudice. We had some incredible days in the white stuff, and while my heart was turned to sliding on snow for a couple weeks, Santa still knew me best and managed to sneak some riding goods under the tree. Luckily Santa knows I spend 95% of my year in the desert. 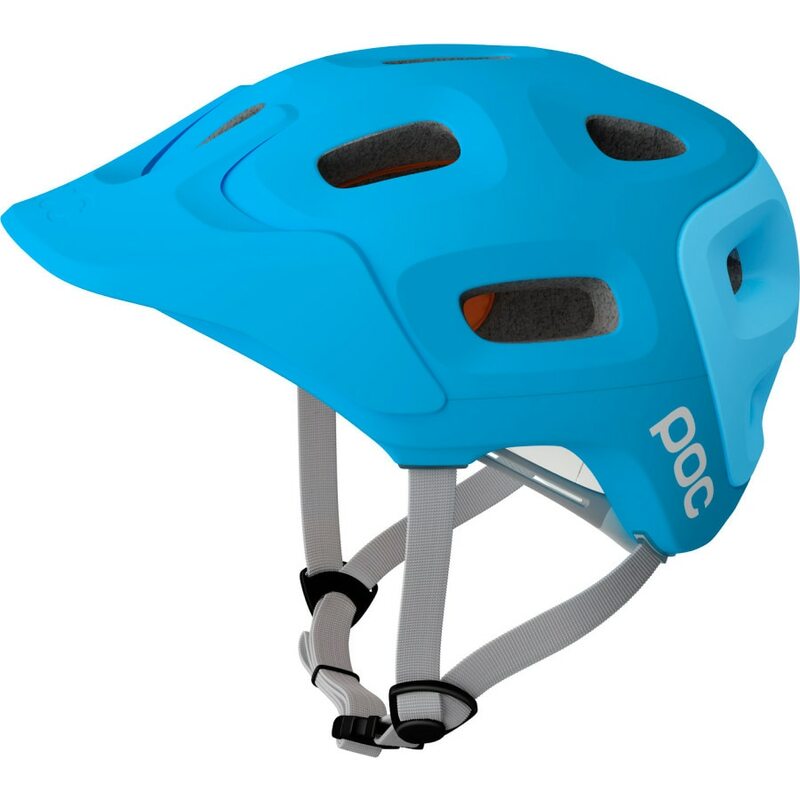 My observant wife snagged me this POC lid that I have affectionately dubbed the Blue Bonnet. Perhaps it's a bit aggressive in its styling, but whatev. I've always had a penchant for using gear that attracts attention far beyond my skill level. If you can't ride well, you might as well look good, right? I haven't used the helmet for its true purpose, but so far it's easy to adjust and comfortable. That's about all I ask. Little Bro really upped the ante in the gift department this year by hooking me up with this ENVE DH handlebar, handmade a stone's throw from home in Ogden, UT. I'm pretty stinking excited about this bad boy. Let me just go ahead and tell you that with the matte black finish and dialed logos, this thing is as smooth as cookies and cream. I actually wrestled with mounting it, knowing it would probably get a scratch at some point. Don't worry. I got over it. No review yet; I finally got a torque wrench (that's advised with carbon components) and got it mounted up today. My steed was noticeably excited about the upgrade and hopefully we'll get out for a test run soon. So...what about you? Make any memories or score any loot over the holidays?